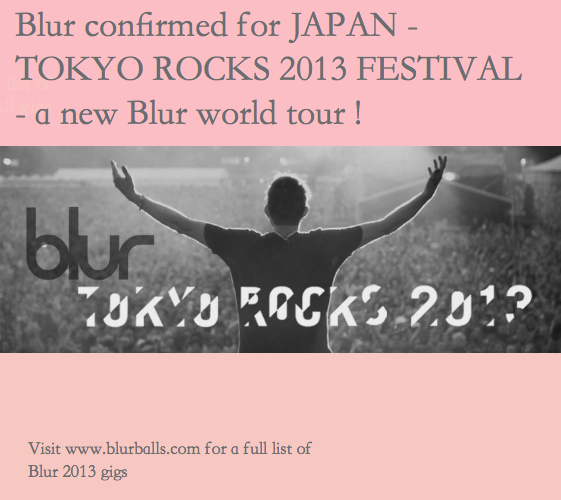 BREAKING NEWS: As part of their world tour in 2013, Blur has just been confirmed for Japan in the TOKYO ROCKS festival 2013. Blur will appear in Tokyo's trademark rock festival on the 11th and 12th May 2013 at the Ajinomoto Stadium. The last time Blur played in Japan was nearly 10 years ago in 2003 for their 'Think Tank' album tour, where they headlined the Summer Sonic festival. 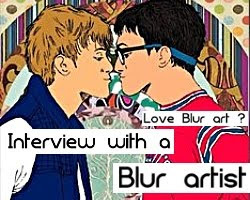 Is 2013 going to be Blur's big year? Other headliners include My Bloody Valentine and Primal Scream, amongst other local Japanese musicians. More will be announced soon. 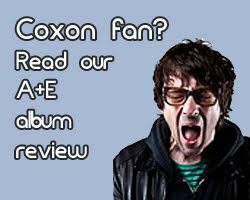 This is a very exciting time for the reformed Britpop band, who reunited in 2009 after a series of concerts. Blur had been rather active recently, playing in this summer's London Olympics for the prestigious closing ceremony of the games. 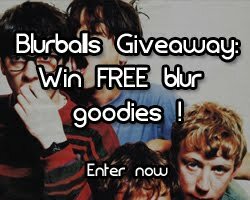 Blur has exhibited their pictures, released a new single 'Under the Westway / The Puritan', a live DVD called 'Parklive' and also released a 21 anniversary box set titled 'Blur 21'. What's more, the band announced a European Tour in 2013, where they will play gigs in Belgium, Norway, Russia, Germany and France. 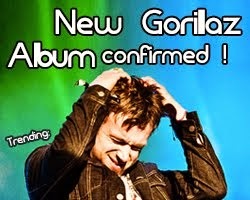 Will there be a new Blur album in 2013 ? 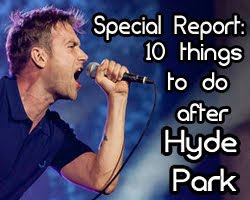 Blur are also set to play in Spain, Portugal, Hungary, Berlin and a UK charity gig. Now, Japan goes on the list too. 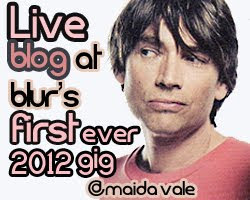 For a full list of Blur gigs in 2013, click here. For more details about Blur's Japan festival 2013, visit the official Facebook page. You can order tickets here.